Fall has arrived! We love the rich, warm colors of autumn and can't wait to have you feeling fabulous. 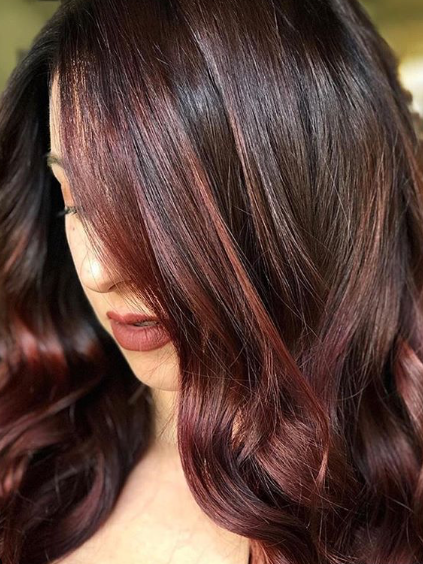 Come see us for a new cut, style, or color to start the season off right. Stop by the salon this Friday, Sept. 28th from 11-3pm to shop the traveling Soulful Gypsy. This fashion-filled mobile shop has the perfect outfits and accessories. So, come get yourself something new and pretty for fall. You deserve it. Shopping, Drinks, Bites, Braid Bar, Photo Booth, and more! 10% off everything! Wander is a darling boutique on Magnolia offering all kinds of pretty things for babes who wander. Come see us and support local businesses! FYI - The salon will be closing early Thursday, Oct. 18th for a team meeting. Thanks for understanding! September Babes - Happy Birthday Kayla C, Nicky, and Brandon! We love you, you're wonderful, an we can't image life or the Salon without you. Same for you all ..... Happy late Birthday!! CONGRATS to Christina Cruz-Terrell and her love on their wedding this summer!!! Cheers to many, many years of happiness and love. Posted on October 3, 2018 by Panther City Salon.